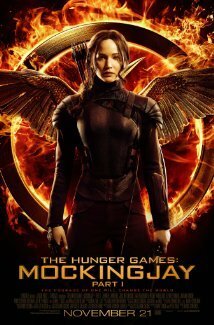 The Hunger Games movie franchise is a hugely successful one, right next to Harry Potter and (regrettably) Twilight. I used to stand strongly in my opinion that a movie adaptation can never beat the original novel(s) it’s based upon. Well, feel free to go ahead and laugh in my face because this film proved me very, very wrong. I spent most of my Christmas night this year in bed, strapped down beneath the covers by the resolve to do nothing. It turned out to be much harder than I thought. I begun to float in a mental pool of self-loathing, and my thoughts screamed release from the madness that is my mind. And that is where the beautiful art of cinema intervened. I’d grabbed the remote control and flicked through random channels on TV before settling on one. The Notebook was on. A personal favorite (it is to most girls my age). From then on, what I’d planned for to be (possibly) my first night of non-Christmas-celebrations descended into a marathon of smushy romantic dramas, one of which is The Lucky One. When the movie started, I prepared myself to witness 101 minutes of another cheesy romance with a bittersweet ending, the latter being a common element in Nicholas Sparks’ novels. Having not read the book, I didn’t know what exactly to scale the movie against. The Lucky One didn’t meet my expectations of what I had assumed it to be though. It beat them, just by a little bit.